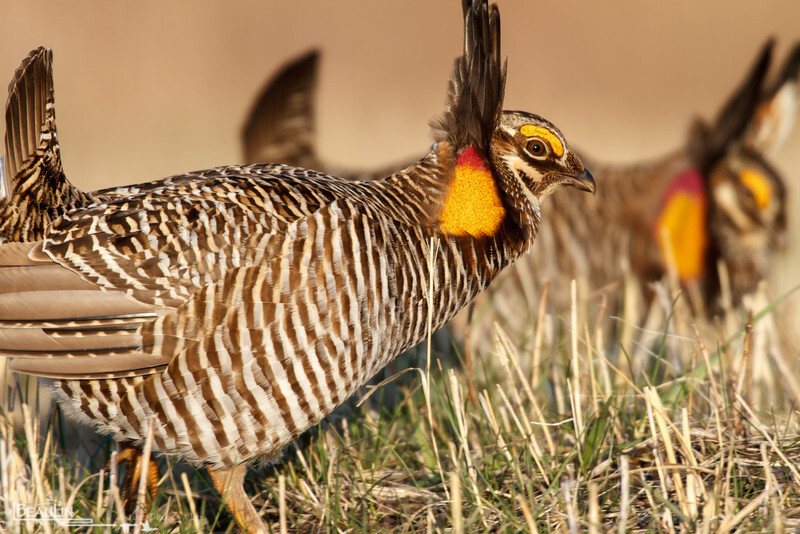 Two male prairie chickens guarding their territories. Their booming display is not only designed to attract the ladies, but also serves as a territorial display toward rivals. Bluestem Prairie SNA, near Glyndon, Clay County, Minnesota.